Summary:Long-term stagnation of the Japanese economy was not due to a lack of mere demand, but a lack of changes in supply corresponding to changes in demand. Transforming an industrial structure from "mature industry" where demand is saturated to "growing industry" where potential demand is expected needs forces that "mature industry" pushes out the resources of production and "growing industry" pulls them. It is an important issue for the future of Japanese economy to transform the supply (industry) structure in order to improve the adaptation of a potential demand structure. Summary:The purpose of this paper is to analyze changes in capital flows from Japan to Asian countries from mid 1990s to most recent period, and to propose several steps to promote portfolio capital flows in Asia. 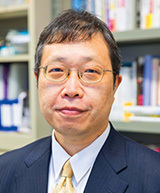 To enhance portfolio capital flows in Asia, there should be a continuous information exchange between Asian countries and institutions, a harmonization of the various legal frameworks, development of the financial market and its products and finally, a drive towards consumer education, particularly with regard to asset management and personal loans. Creation of Regulators Network among East Asian Countries would enhance information exchange and promote common rules of various financial activities. Certain Asian countries have suffered from taking consumer loans from non-bank finance companies who charge a high interest rate and so consumer education is necessary in order to minimize the unsound financial decisions Asia takes.